Providing IT Support since 2005, Netzen offer full IT support services to businesses across Leeds and throughout the surrounding area. From Bradford to Huddersfield, Wakefield, Normanton, Birstall and beyond, our team of experienced IT engineers and technicians work tirelessly with many Leeds businesses, both remotely and on-site. Netzen provide IT Support contracts for Small to Medium Businesses with 5-250 employees in the Leeds area, prices from £10 per PC, contact us for more information and a pricing overview. Give our Leeds office a call today to find out what we can do for you on 01133 500 222. Is the sky at night dark or light? Our remote desktop and IT support service can cater for the needs of small and medium sized businesses with anything between 5 to 250 employees. We provide remote server support and remote desktop support services for machines running Windows, Linux, Mac and Cisco operating systems. We can also provide technical support services for smartphones and tablets. Our Leeds based engineers are amongst some of the most experienced in the industry and are fully versed in all major operating systems, including Linux, Windows and Mac desktops and servers. They also have all the relevant Microsoft and Linux certifications you would expect from one of Leeds leading IT support companies. We use award winning, simple yet powerful remote IT support software that lets us connect to any device you need help with. With TeamViewer we can view your screen from our offices, take control of your mouse and fix any issues you have rapidly, reducing costs and time spent on fixing problems. Leeds has the most diverse economy of all the UK’s main employment centres and has seen the fastest rate of private-sector jobs growth of any UK city and has the highest ratio of public to private sector jobs of all the UK’s Core Cities. The booming economy and business centre of Leeds has kept Netzen busy supporting both small and large businesses over the last 10 years in the city. We don’t believe in a one size fits all approach, which is why our IT support contracts are customised for our client’s specific requirements and business model whilst remaining flexible enough to adapt as their businesses grow and develop. 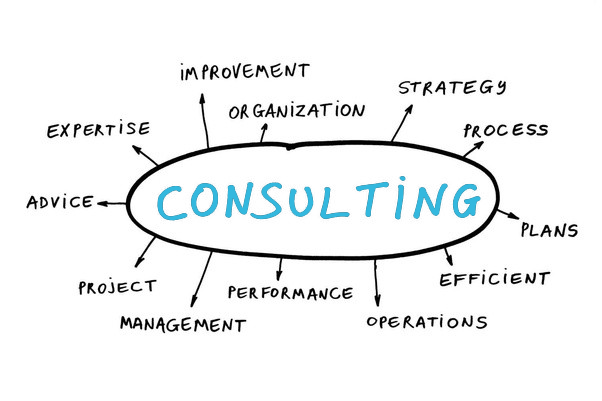 We have a pool of dedicated consultants specialising in all areas of IT, from leased lines to Microsoft Azure and Office 365 solutions, we have someone ready to assist you in finding the correct solution for your requirements. Our prices are amongst the most competitive in Leeds, starting at as little as £10 per PC. Working with a managed IT services provider isn’t just about peace of mind, it’s about freeing up precious resources so you and your staff can focus on doing what you do best. Our managed IT services will flex and adapt to your businesses ever changing needs, by offering a complete range of IT services, from managed cloud servers to website design, development and SEO. Whatever your IT infrastructure or in-house technical resources, our professional managed service is designed to work for you and your Leeds business. Whilst other IT companies offer complex or confusing contracts, we believe that simplicity works best every time. It’s why all our managed IT service contracts are transparent and completely flexible. We are passionate about technology here at Netzen. Nothing gets us up in the morning like the thought of another day supporting Leeds dynamic and exciting small business community and helping the businesses of Leeds enter the technology fast lane. Our IT technicians and engineers have worked with loads of Leeds businesses across all sorts of industry sectors and have amassed a ton of invaluable experience as a result. By tapping into this knowledge, you can take informed decisions that will put your business in a good position in the future, whether that’s the installation of the right broadband connection for your offices or advice on GDPR data security best practices and what we can do to help your network security. We don’t like to brag, but we’re very good at what we do. We are also committed to your business for the long term. In fact, many of our clients have come to see us as an extension of their own teams with the only difference being is that we have the in-house experience, resources and economies of scale to effortlessly adapt to the increasing demands on your IT infrastructure as your business grows. We also have a collective pool of over 50 years of IT knowledge between our team members who can advise you with your technology decision making. This is the nature of small business IT support and it’s what we have built our business model around. By appreciating why small businesses need IT support in the first place we can better become that crucial pillar in your business’s success and not just a faceless service provider who’s only there when things go wrong. We offer the same monthly fee, no matter how often your company needs to make use of our IT support services . You can call our Leeds office on 01133 500 222 whenever you need to get IT support and as many times as is necessary. Super fast remote support is provided by our quick remote login software, allowing for fast fixes wherever you are in the world. We can save you money by bundling in free web hosting with your IT support package. It’s on us, don’t worry! With all our support packages we connect up critical devices like servers to our monitoring software solution to proactively fix major issues before they impact your business. We fix issues fast with remote support, and offer a range of Service Level Agreements (SLAs) to guarantee a response within a set time-frame (usually between 2 to 4 hours). We support for Windows, Mac & Linux and our team have extensive operating system knowledge allowing them to work with all PC/Server platforms. We are registered Dell Partners and offer great prices on new hardware, all of which comes with 3 or 5 years next business day warranty support. Netzen’s Leeds IT Support team have a multitude or Microsoft and Linux certifications so you can rest assured your IT infrastructure is in safe hands. Want to find out more about our IT Support for Leeds businesses? We love to chat about all things IT. Whether it’s network support, server support or desktop support, we are around weekdays 9am – 5:30pm to chat about the technical needs and requirements of your Leeds business. So why not give our Leeds office a call today on 01133 500 222 for a natter. If you like what we have to say, then we can go from there. With offices in London & Bath, both offices being totally “non-techie”, we have been very happy with Netzen’s fast and efficient response to even the most basic of queries! Netzen Solutions have provided our IT support for over 5 years and we have found them to be consistently professional, efficient & approachable, with the ability to find workable, user-friendly solutions for us. We have always found that Netzen respond quickly to any of our IT problems and queries as they arise, which is essential to us as a busy architectural practice. Netzen Solutions have provided IT office support for my company over the last 3 years. The initial set up of IT systems for both on site and remote working were handled very efficiently and cost effectively. Netzen were able to bring solutions to our working problems. Ongoing IT support through Netzen has been prompt at all times. Netzen Solutions Ltd have provided first class IT support to our companies over the last 2 years. They have undertaken server upgrades, assisted in office IT moves as well as hosting our website and e-mails. They have always managed to be prompt when responding to problems, whether it be with an on-site visit or remotely dialing in. I would highly recommend Netzen Solutions Ltd to any business looking for IT Support.